Special to the Pahrump Valley Times/U.S. 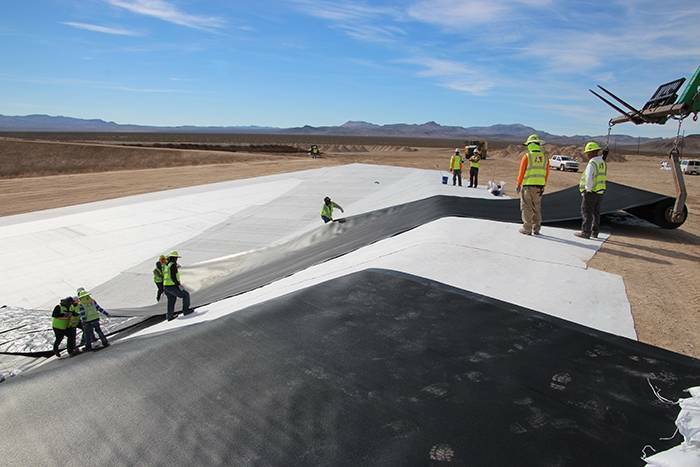 Department of Energy Workers install the first of two liners for a mixed low-level disposal cell at the Nevada National Security Site. The project was completed in March; the permitting process went on for two years, according to the DOE. State leaders are vowing to fight a proposal by the U.S. Department of Energy to store up to a ton of weapons-grade plutonium at the Nevada National Security Site, 65 miles northwest of Las Vegas in Nye County. In a letter to Energy Secretary Rick Perry on Thursday, Sen. Dean Heller blasted the department’s plans to ship the radioactive material to Nevada to satisfy a recent federal court order calling for the removal of one metric ton of plutonium from the Savannah River Site in South Carolina. Heller is demanding a full environmental review of the shipment and storage proposal before any further action is taken. “DOE’s desire to expeditiously pursue this proposal does not outweigh the rights of Nevadans to be safe in their own backyard,” he wrote. U.S. Rep. Jacky Rosen, D-Nevada, issued a statement Thursday saying she has “serious concerns with Secretary Perry recklessly pushing this proposal forward without properly assessing the impact” of shipping and storing the material. U.S. Rep. Ruben Kihuen, D-Nevada, said energy officials are once again trying to turn Nevada into “the nation’s dumping ground” despite widespread opposition from the state’s residents and elected leaders. “Storing weapons-grade plutonium 90 miles from Las Vegas threatens the safety and security of Las Vegas’ two million residents and the more than 42 million people who visit the city every year,” Kihuen said in a written statement. In May, a federal district court ordered the DOE to move the plutonium out of South Carolina after the department failed to finish work on a long-delayed, multibillion-dollar facility designed to transform it into commercial reactor fuel. 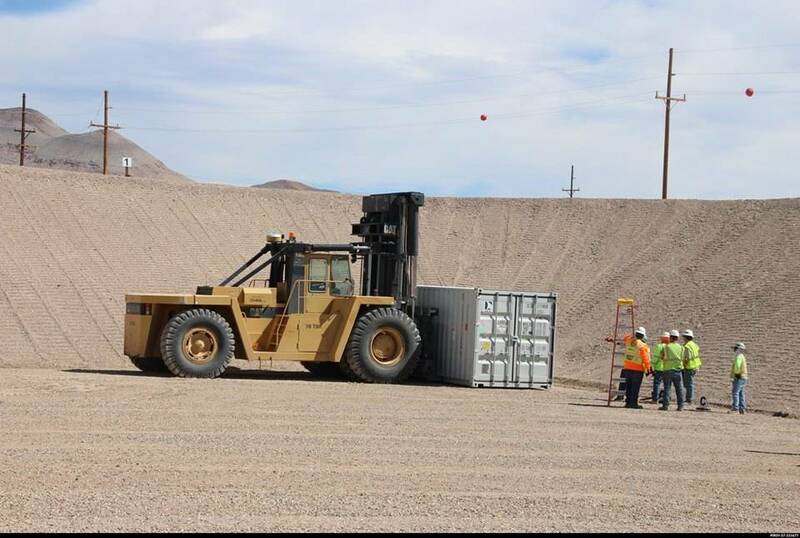 He said the material will be “temporarily staged” in Nevada before being shipped to Los Alamos National Laboratory in New Mexico and other sites. He declined to provide a specific timeline for security reasons. “We ship this type of material routinely between NNSA sites as part of our national security mission, and we have done so safely and securely for decades,” Wolf said. 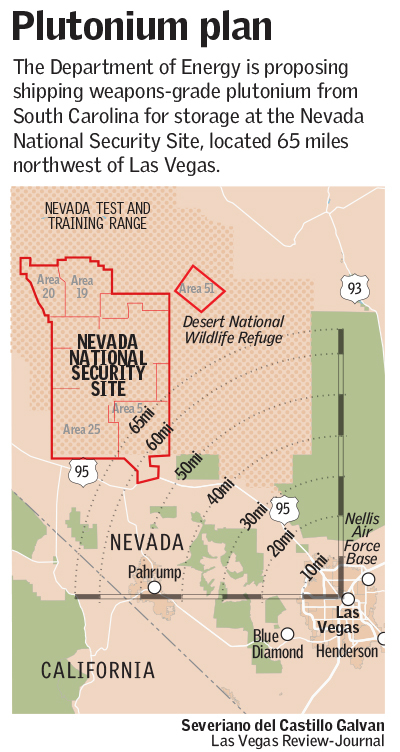 It’s unclear where the plutonium would be housed within the Nevada National Security Site. The 1,360-square-mile federal reservation is used by DOE and its National Nuclear Security Administration for experiments and training, including some involving nuclear material. The area was formerly known as the Nevada Test Site. The government conducted 928 nuclear tests there — some above-ground, most below — between 1951 and 1992. Yucca Mountain, just west of the Nevada National Security Site, is the proposed site of a permanent storage repository for the nation’s high-level nuclear waste, though Nevada officials have successfully blocked the licensing and construction of that facility for decades.